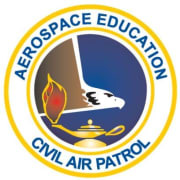 The Civil Air Patrol seeks volunteers with an interest in assisting our units in Aerospace Education. Possess a basic knowledge of the Aerospace Education Programs. Know the duties and tasks associated with CAP’s squadron and group AEO and assistant AEO positions. Implement aerospace education programs for cadets and senior members at the squadron level and promote AE in local schools. Develop into a highly motivated and trained AEO who will conduct and promote effective internal and external aerospace education programs. Explain the appointment process for the specialty track. Describe the knowledge, performance and service requirements of the 215 Specialty Track. Review AE programs and products, including AE STEM Kits, provided by National Headquarters with the trainer/mentor. Define the Aerospace Education Excellence (AEX) hands-on award program and how to implement it in squadrons and schools. Explain the difference between earned and nominated awards. Demonstrate knowledge about formulating budgets, obtaining grants, and funding of AE activities. Describe the preparation of an online AE Plan of Action (AE POA) for a squadron. Describe the preparation of an online annual AE Activity Report for a squadron. Describe the subordinate unit inspection (SUI) process for a squadron. Successfully complete the online technician level test in eServices Learning Management System. Formal recognition of training, qualification, and experience through CAP's AE Specialty Track. Networking and training at Wing, Region, and National Conferences. To apply, please email a letter of interest to S/M Craig Hormes at CHormes@flwg.us with the subject line "CAP-AE".